Celebrate the publication of our latest anthology, Suitcase of Chrysanthemums, at the wonderful Waypost and meet an indie press looking for new voices. We will start promptly with a limited open mic so please arrive early. 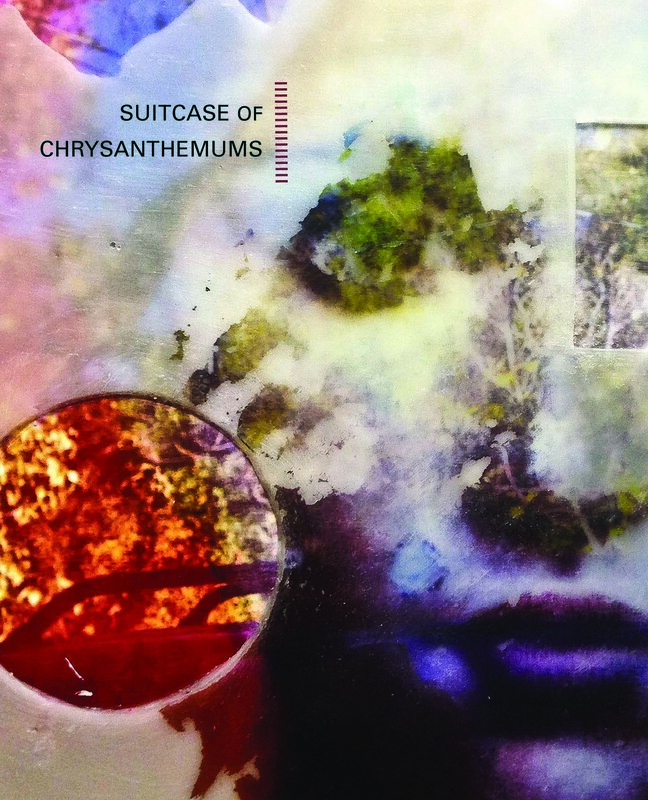 Suitcase of Chrysanthemums is an exhilarating collection of contemporary poetry and fiction from established and emerging writers across the United States and beyond. The anthology also contains an interview with actor/director Sonja Sohn (The Wire, The Chi, Baltimore Rising). Sossity Chiricuzio is a queer femme outlaw poet, a working class crip storyteller. What her friends parents often referred to as a bad influence, and possibly still do. A 2015 Lambda Fellow, she writes as activism, connection, and survival. She recently completed the hybrid memoir Honey & Vinegar: Recipe for an Outlaw, and is half of the performance duo Sparkle & truth. Her work has also appeared in a variety of publications including Adrienne, The Other Side of Violet (great weather for MEDIA), Lunch Ticket, Porkbelly Press, Rogue Agent, NANO fiction, and |tap|, as well as anthologies like The Remedy: Queer And Trans Voices On Health And Health Care, Glitter and Grit: Queer Performance from the Heels on Wheels Femme Galaxy, and Not My President. Brad Garber has degrees in biology, chemistry and law. He writes, paints, draws, photographs, hunts for mushrooms and snakes, and runs around naked in the Great Northwest. Since 1991, he has published poetry, essays and weird stuff in such publications as Edge Literary Journal, Pure Slush, DASH, Sugar Mule, Third Wednesday, Barrow Street, Black Fox Literary Magazine, Barzakh Magazine, Ginosko Journal, Junto Magazine, Vine Leaves Press, Split Rock Review, Smoky Blue Literary Magazine, Aji Magazine, The Other Side of Violet (great weather for MEDIA), and other quality publications. Former girl scout Laura LeHew is obsessed with the creepy, creaky underbelly of life and whatever lies beyond. Widely published, you can find her poems in Anobium, Eleven Eleven, Ghost Town, PANK, Tribe, and The Vassar Review. Laura co-hosts a reading series in Eugene, Oregon, and owns / edits Uttered Chaos (Press). Richard Loranger is a writer, performer, visual artist, and all around squeaky wheel, currently residing in Oakland, California. His recent book of flash prose, Sudden Windows (Zeitgeist Press, 2016), has been warmly received. He is also the author of Poems for Teeth, The Orange Book, and nine chapbooks. Other recent work can be found in Oakland Review, Full of Crow, and the online anthology HIV Here and Now. Christopher Luna served as Clark County, WA’s first Poet Laureate from 2013-2017. He has an MFA from the Jack Kerouac School of Disembodied Poetics, and is the co-founder of Printed Matter Vancouver, an editing service and small press for Northwest writers. He has hosted the popular Ghost Town Poetry Open Mic in Vancouver, WA since 2004. Luna’s books include Brutal Glints of Moonlight, GHOST TOWN, USA, and The Flame Is Ours: The Letters of Stan Brakhage and Michael McClure 1961-1978. Pattie Palmer-Baker is an artist and poet living in Portland. Over the years of exhibiting her artwork—a combination of paste paper collages and her poetry in calligraphic form—she discovered that most people do like poetry; in fact many like the poetry better than the visual art. She now concentrates on writing. Kelly Terwilliger is the author of the poetry chapbook, A Glimpse of Oranges. Her most recent book, Riddle, Fishhook, Thorn, Key, was published in the fall of 2017 by Airlie Press. Kelly currently lives in Eugene, Oregon, where she works as an oral storyteller and poet / artist-in-residence in public schools. John Sibley Williams is the author of nine poetry collections, most recently Disinheritance (Apprentice House, 2016). An eleven-time Pushcart nominee and winner of various awards, John serves as editor of Inflectionist Review. His work appears in Yale Review, Atlanta Review, Prairie Schooner, Midwest Quarterly, Sycamore Review, Massachusetts Review, Columbia, Third Coast, and Poetry Northwest.